NOTE: Watermark is not printed on cards. Holiday greetings from two visitors from the north! 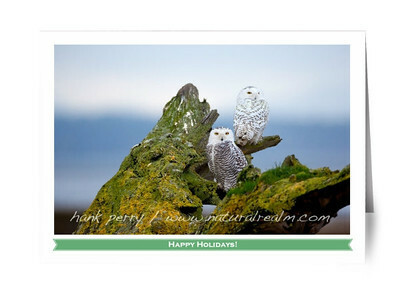 These two snowy owls were among 25 spotted on this March 2012 day, Boundary Bay Canada.